College Prep's impassioned students will fulfill their social responsibility on April 9th and 11th at the Coastal Bend Food Bank. 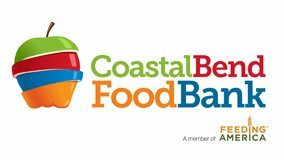 The Coastal Bend Food Bank is a 501 (c)(3) nonprofit organization that provides food to a network of more than 144 agency partners such as food pantries, shelters, senior centers and feeding agencies in 11 counties throughout South Texas. In addition, the CBFB offers several direct-service programs such as the Kids’ Café, Kids’ Backpack program, Diabetes Hand On and Mobile Pantry program. The students of Corpus Christi College Preparatory will volunteer their time to help help inspect, sort, and box donated food product at the Food Bank's warehouse. Transportation will be provided. April 9th includes students in grades 10-12, who have completed standard testing. April 11th includes students in grades 9-11, who have completed standard testing.